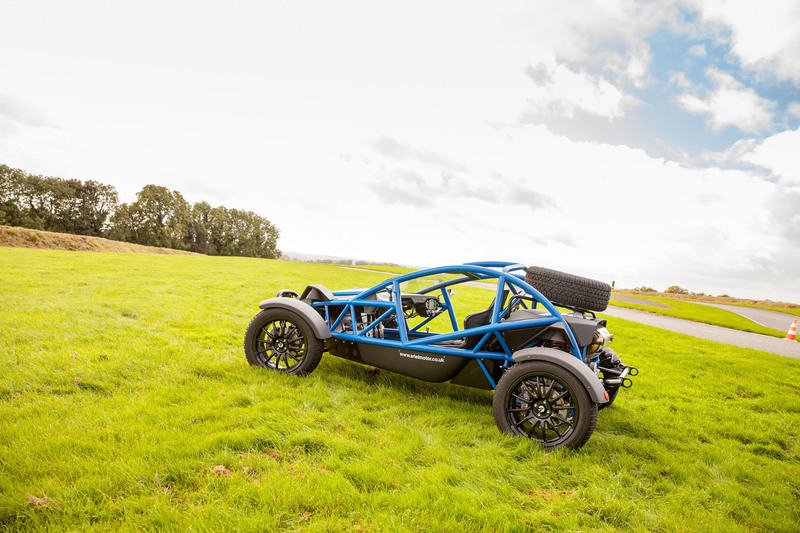 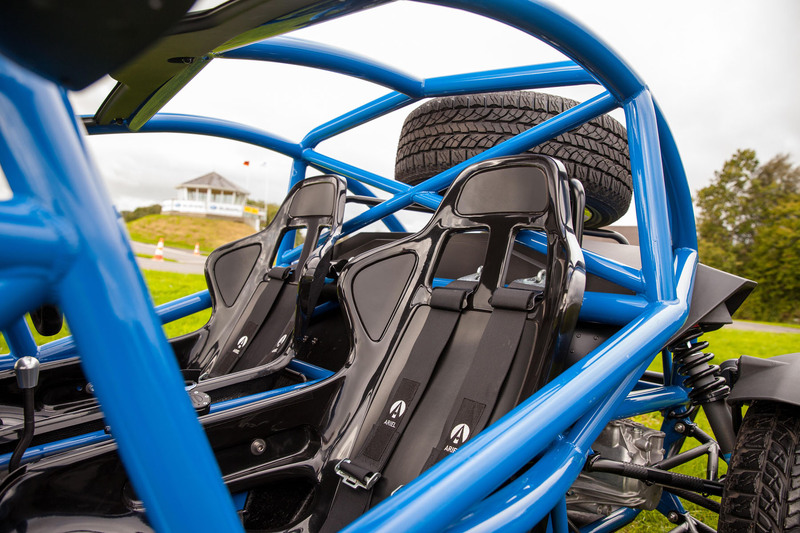 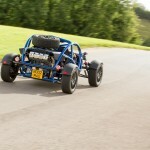 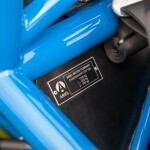 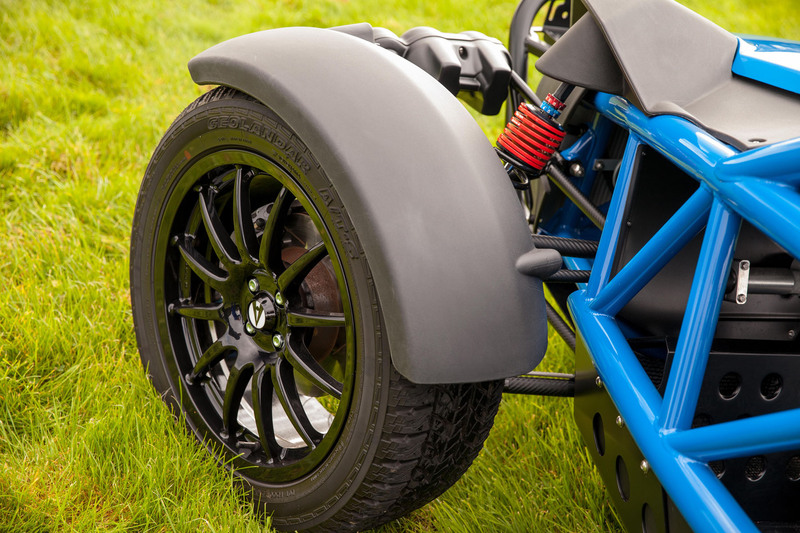 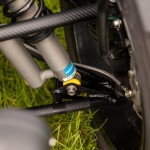 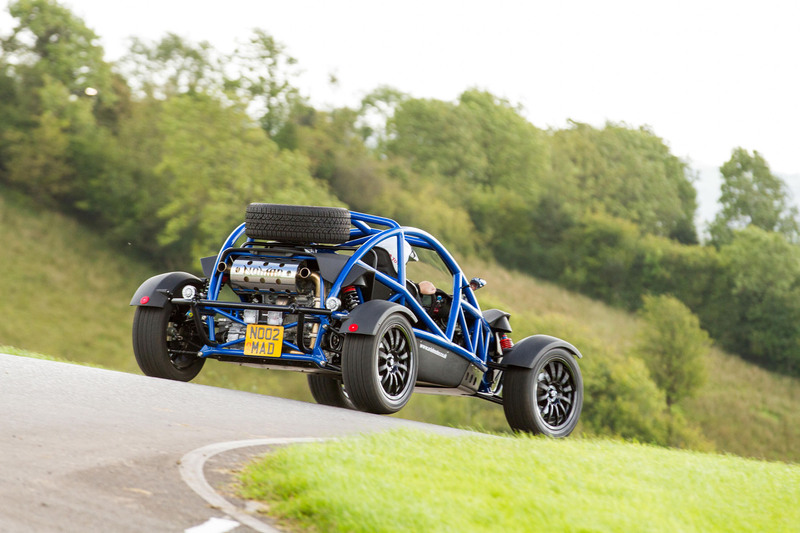 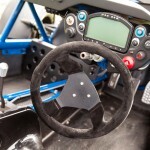 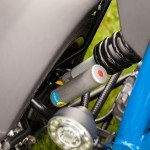 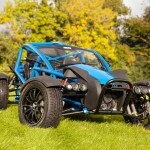 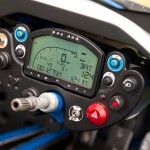 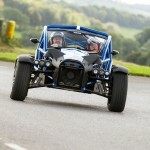 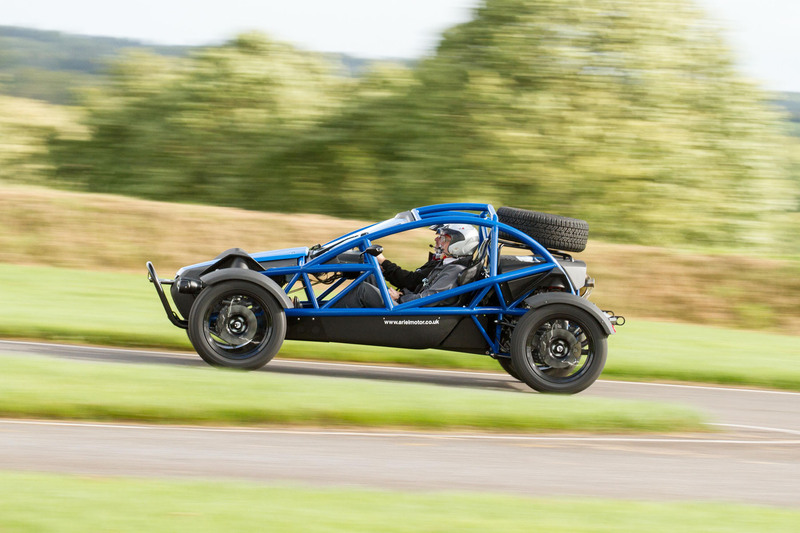 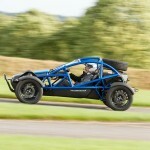 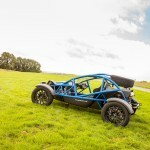 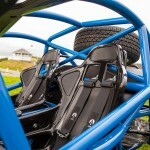 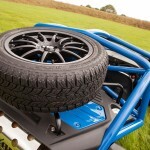 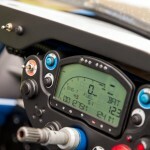 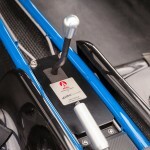 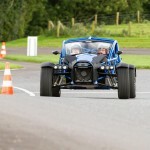 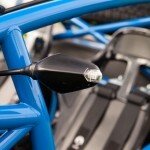 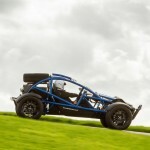 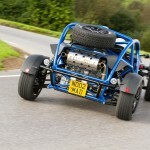 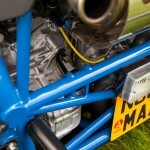 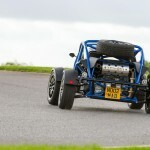 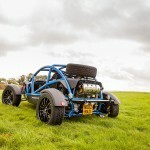 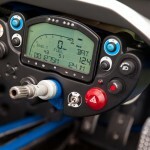 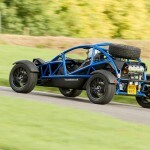 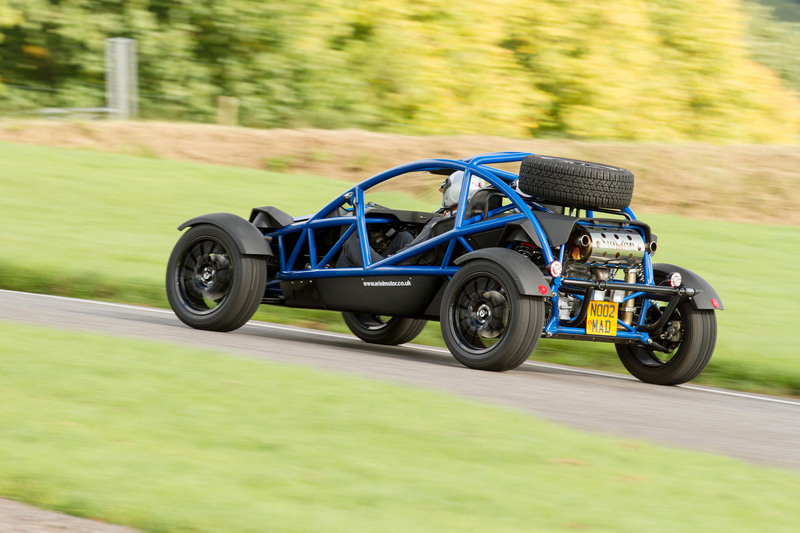 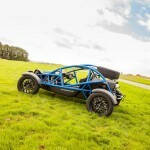 I have touched on the Ariel Motor Company before on this blog when I road tested an Ariel Atom 2 [read review here], so I won’t go into the company on this post more than to say that they are a small firm based in Somerset in the south of England who design and produce some seriously capable and unique cars. 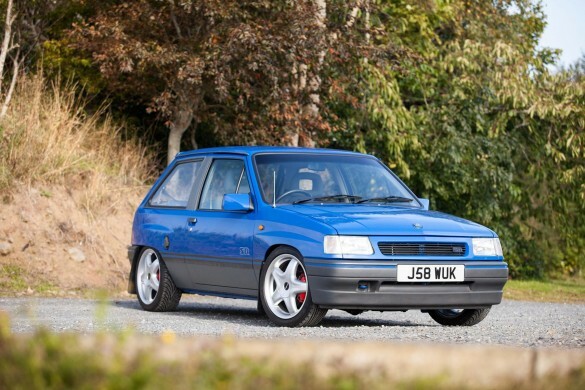 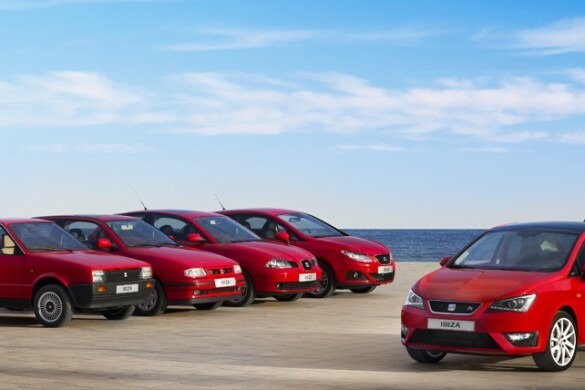 Cars with more character than a Disney Movie, more charm than a Pandora store and more testosterone than a teenage lad on his first date. 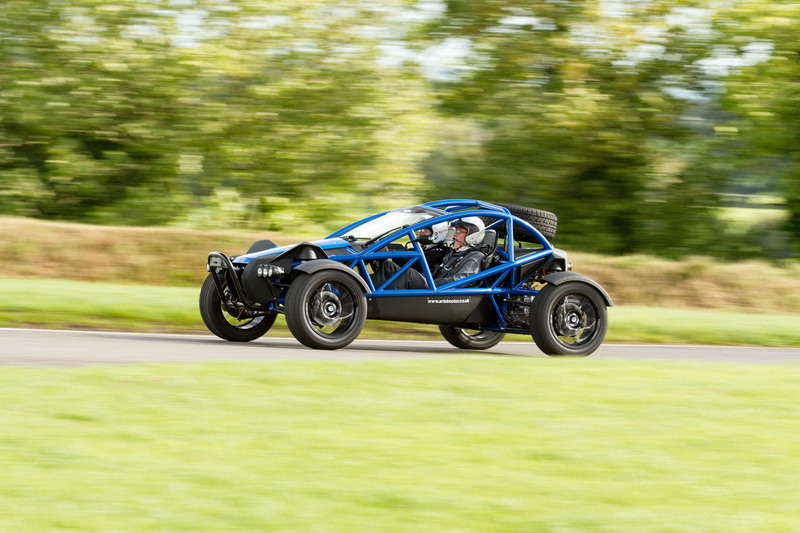 The Atom is a thoroughbred, road legal racer that’s sole focus is to go from point A to point B via hundreds of bends as fast as possible. 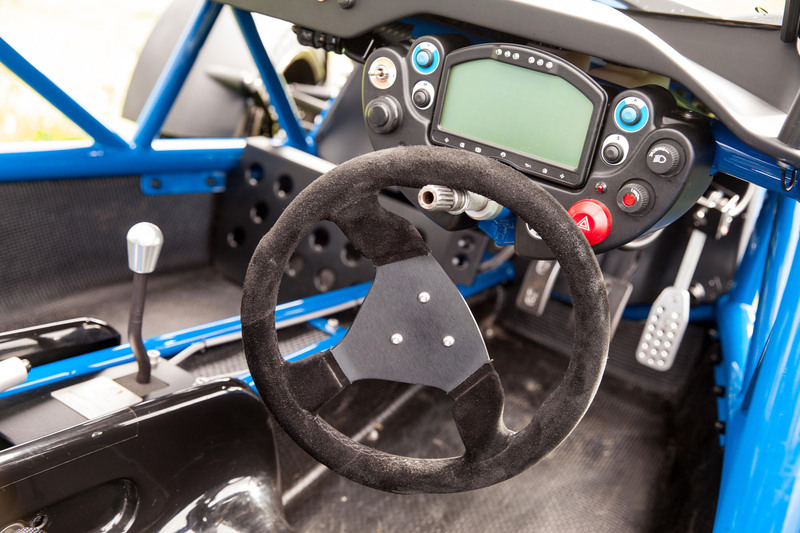 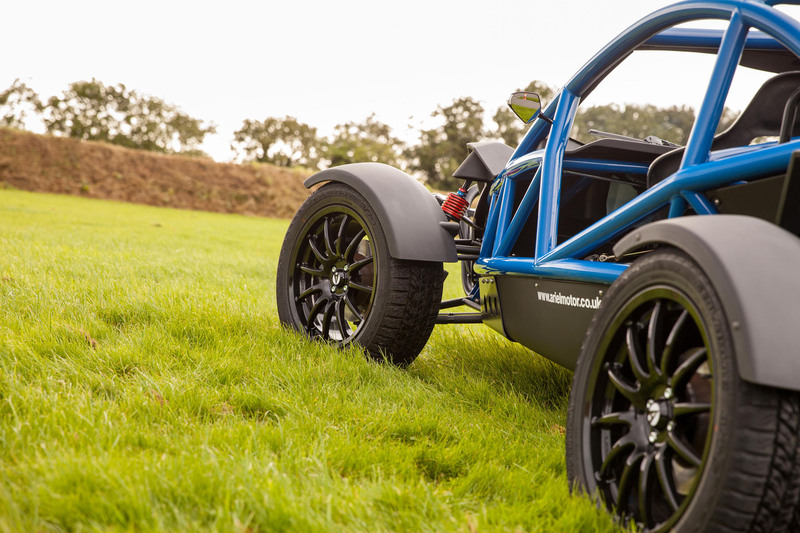 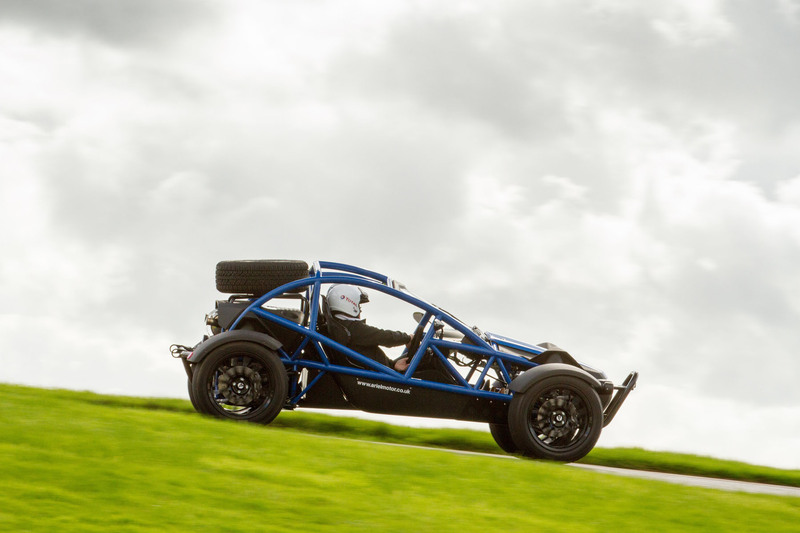 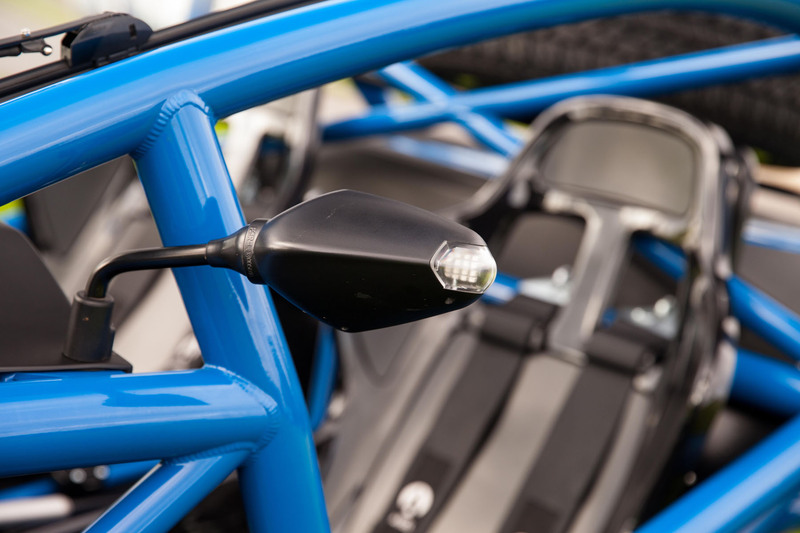 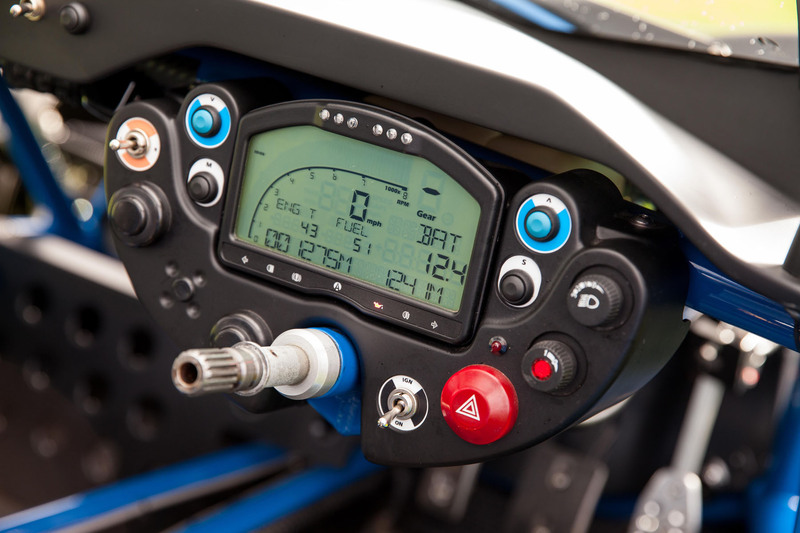 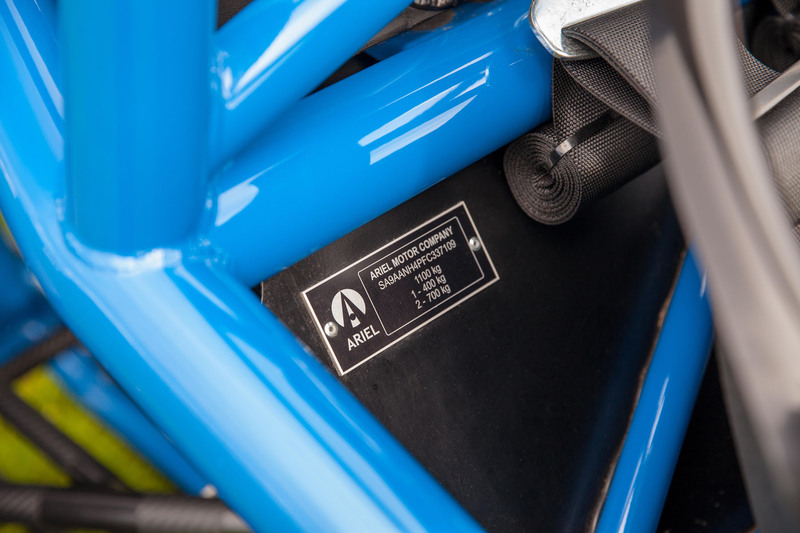 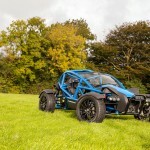 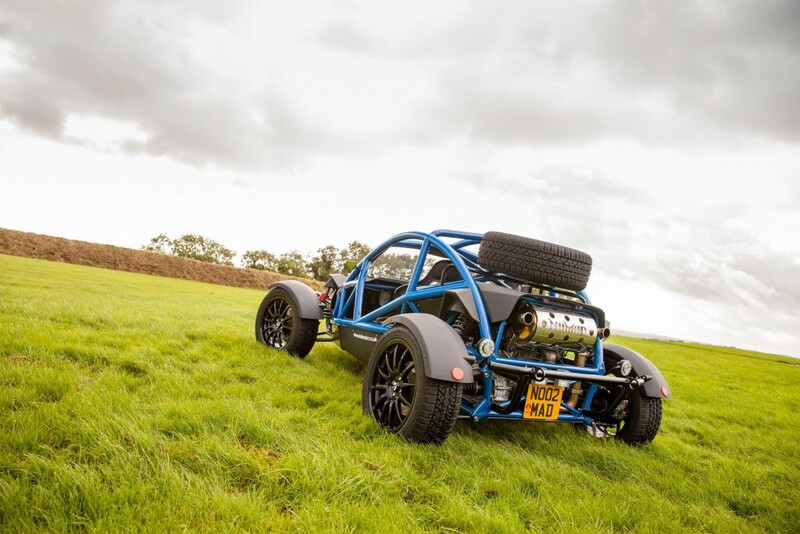 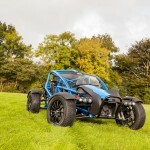 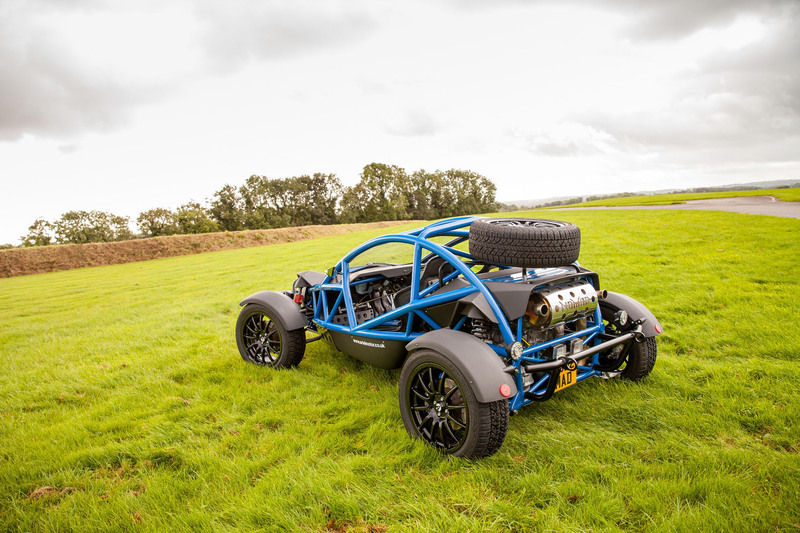 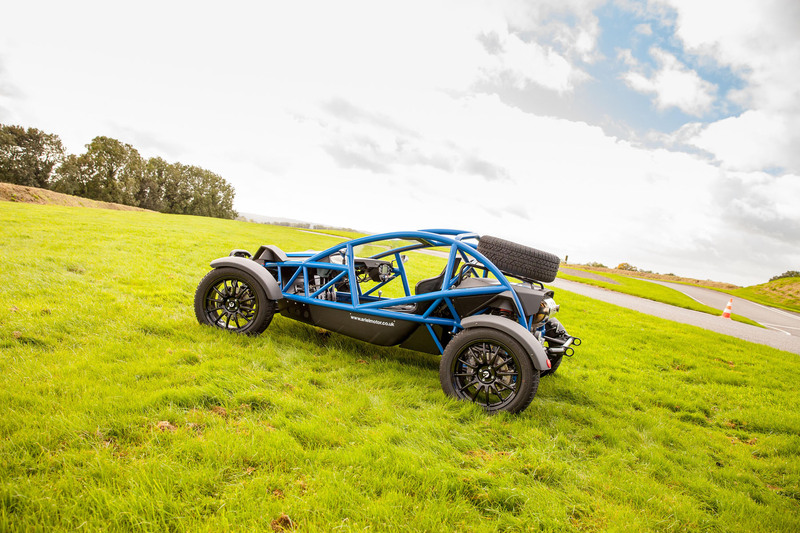 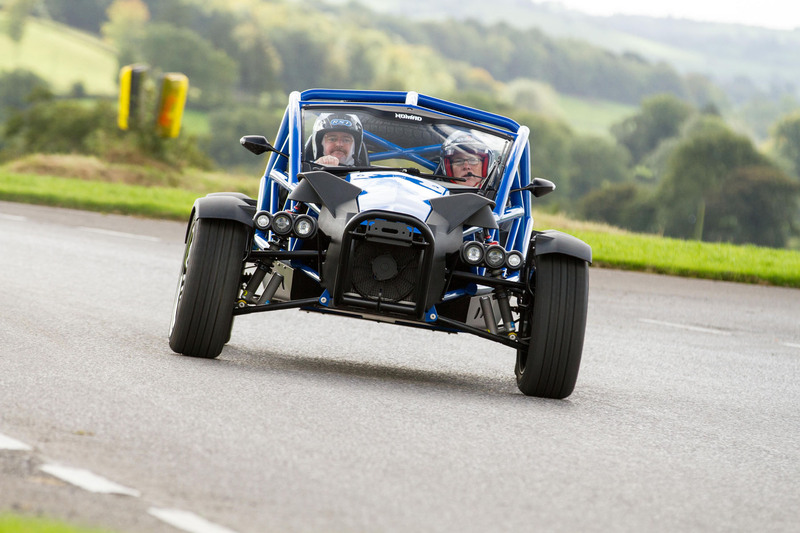 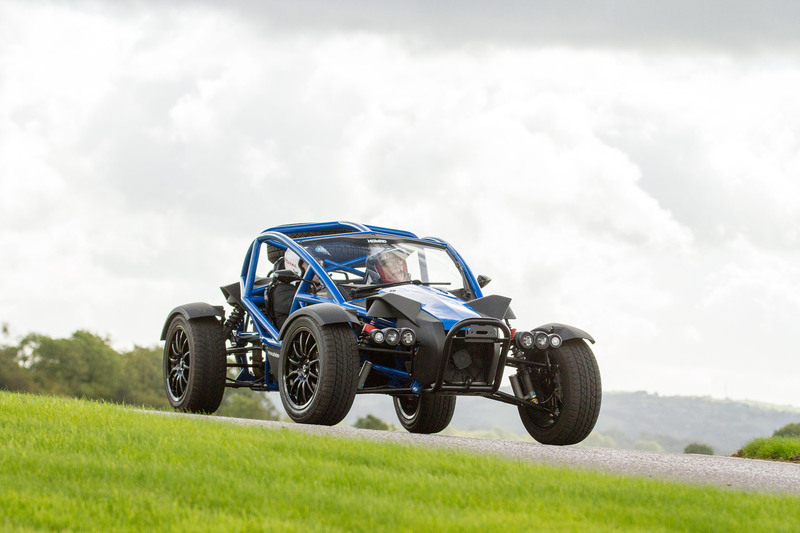 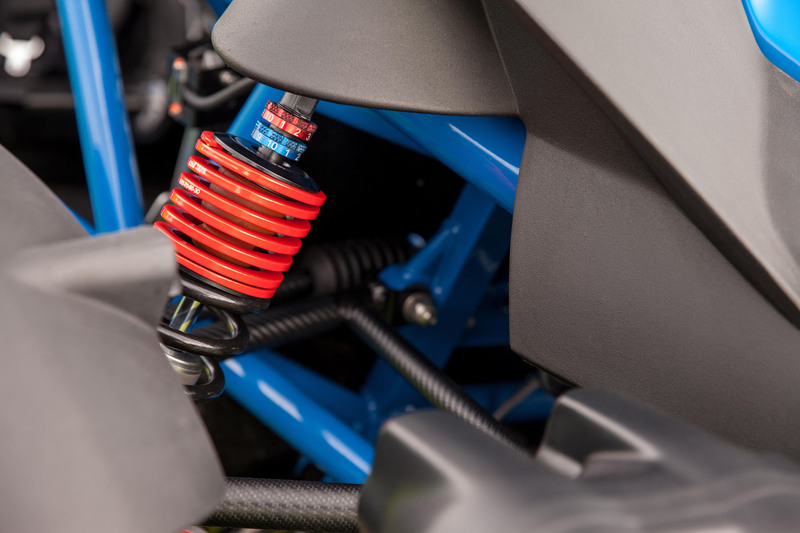 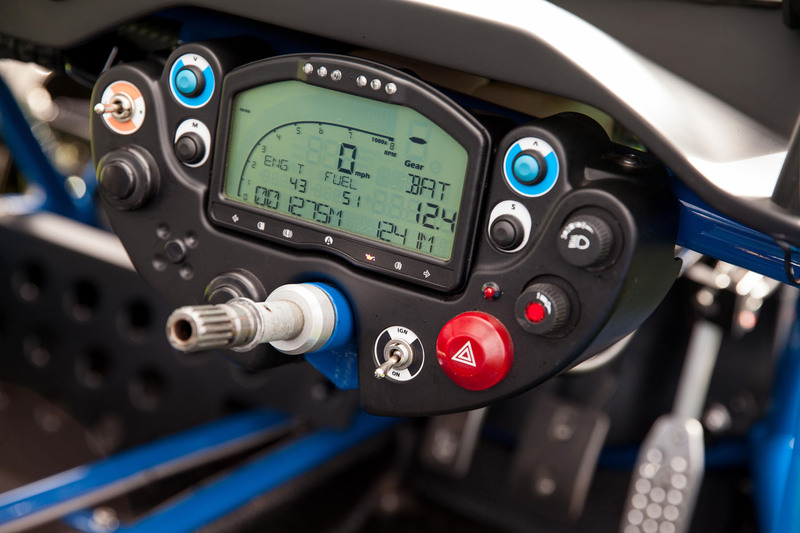 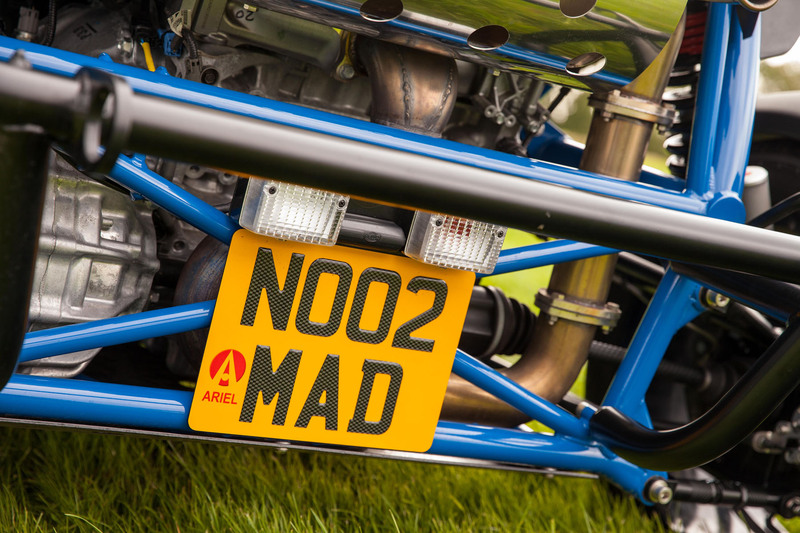 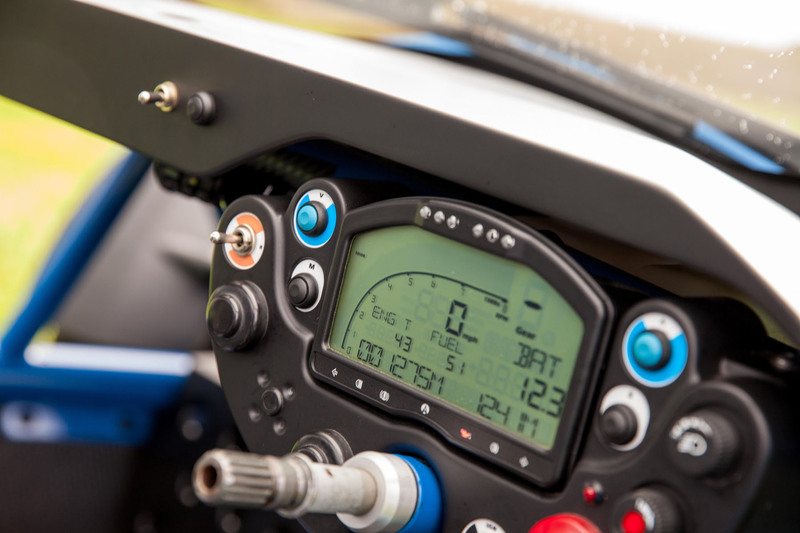 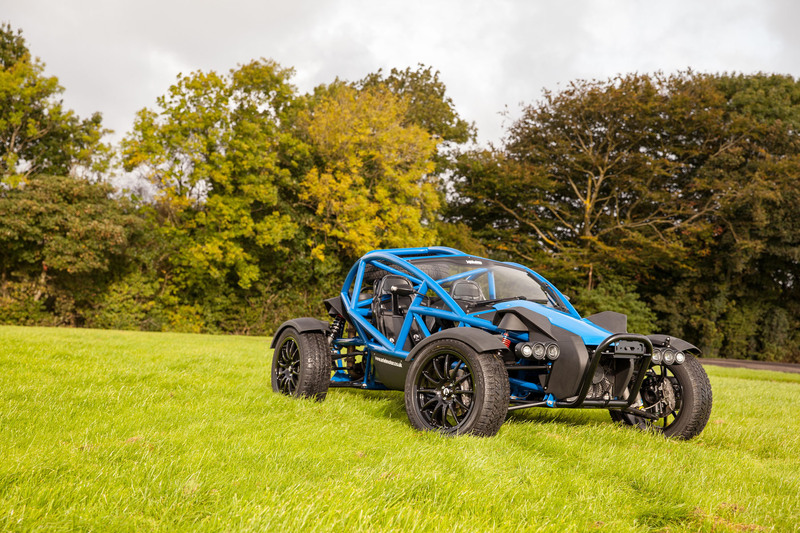 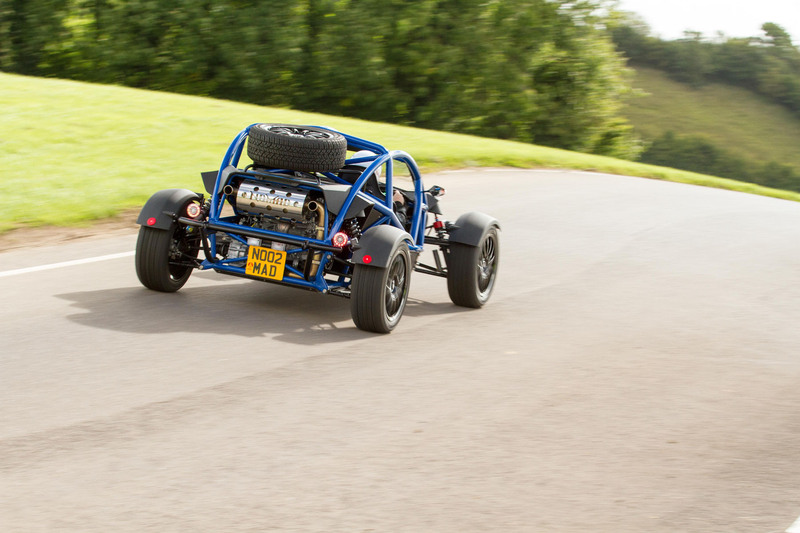 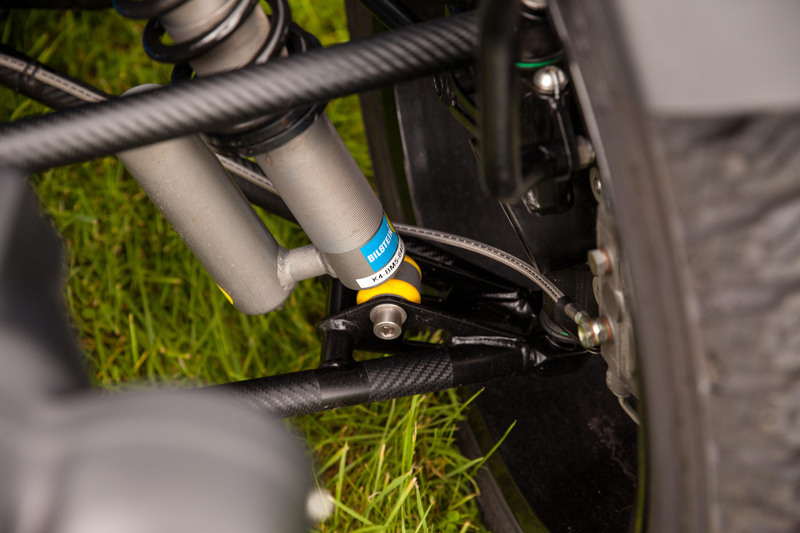 This ethos is one that works and indeed is carried through to the Ariel Nomad, as its sole purpose is also to go from point A to point B as fast as possible, however with the Nomad you are able to add jumps, bumps and gravel lanes to the hundreds of bends. 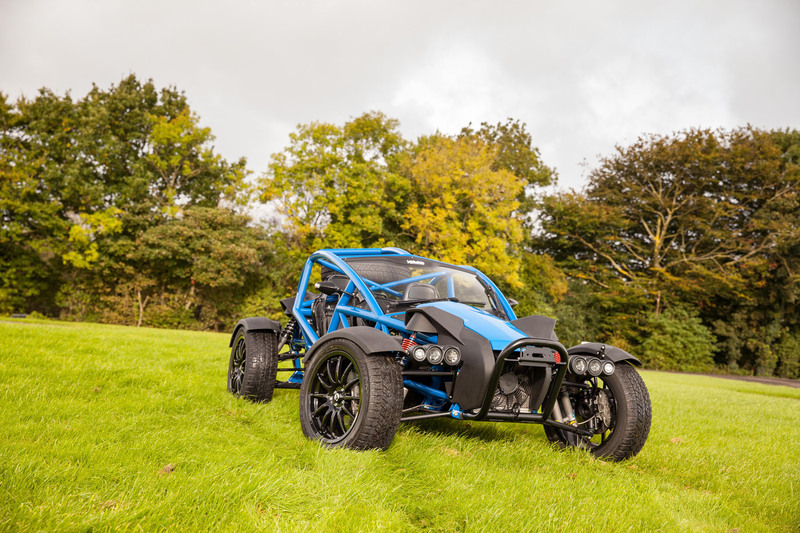 Looks wise, there is no doubting the fact that the Nomad comes from the Ariel stables and indeed is loosely based around the Atom, in simple terms I guess you could call it a much more agricultural version of the Atom and this is not meant in any derogatory way at all. 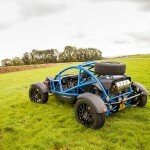 By agricultural I mean that everything is just much bigger looking from the wheels with beefy tyres, to the vastly extended ride height, through to the optional windscreen, front and rear crash bars with the option of adding a winch to the front and up to the big spare wheel mounted above the engine. 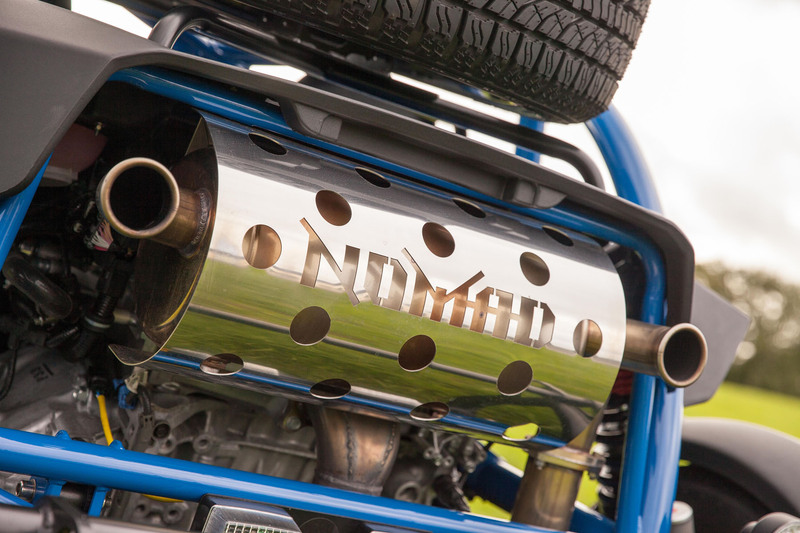 The Nomad just means business and has that look about it whereby it will go anywhere an agricultural vehicle will travel, only the Nomad will do it in a fraction of the time and provide more smiles than a kid in a sweet shop! 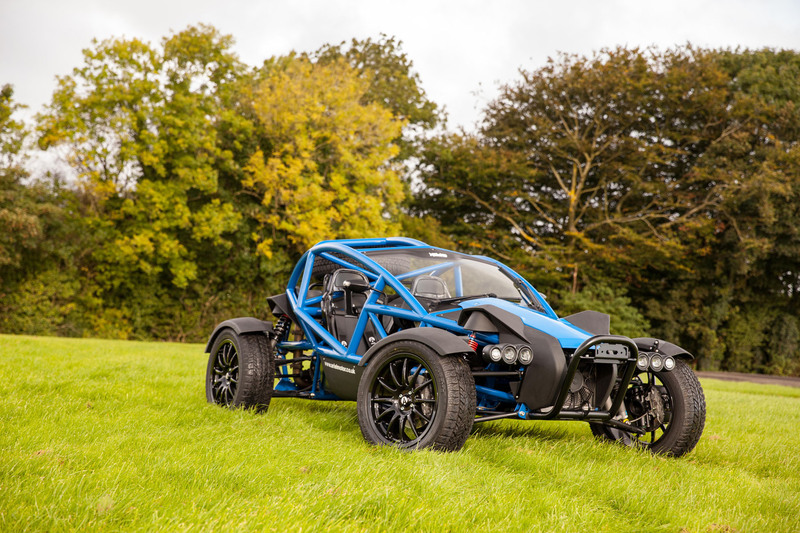 On the outside, this Nomad is in full road legal trim with front and rear lights, number plate, mud guards over the wheels and has a windscreen with fully functional wipers to boot. 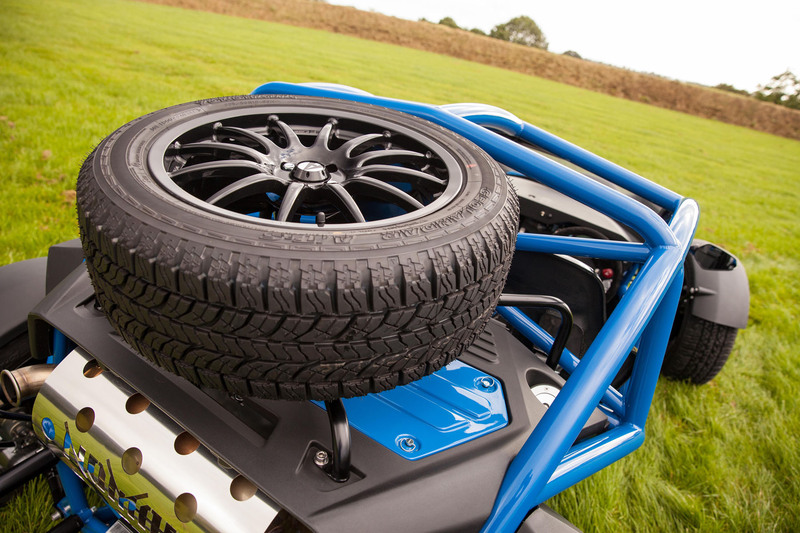 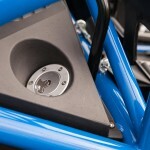 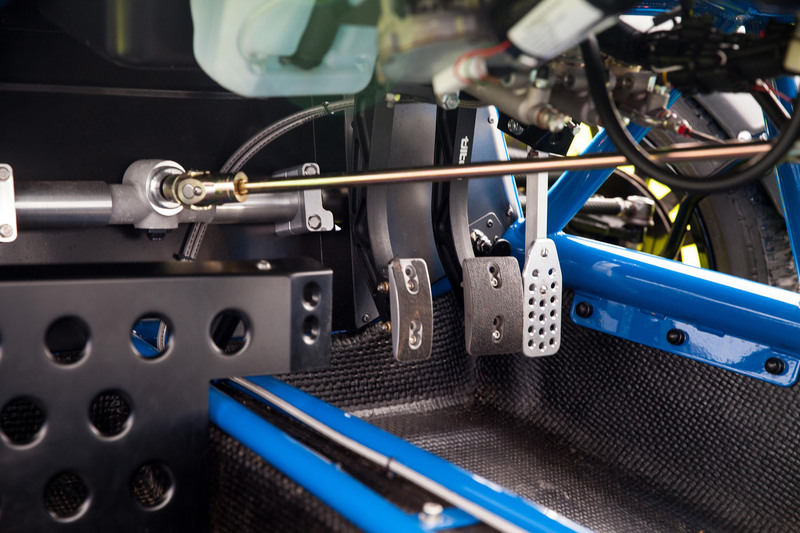 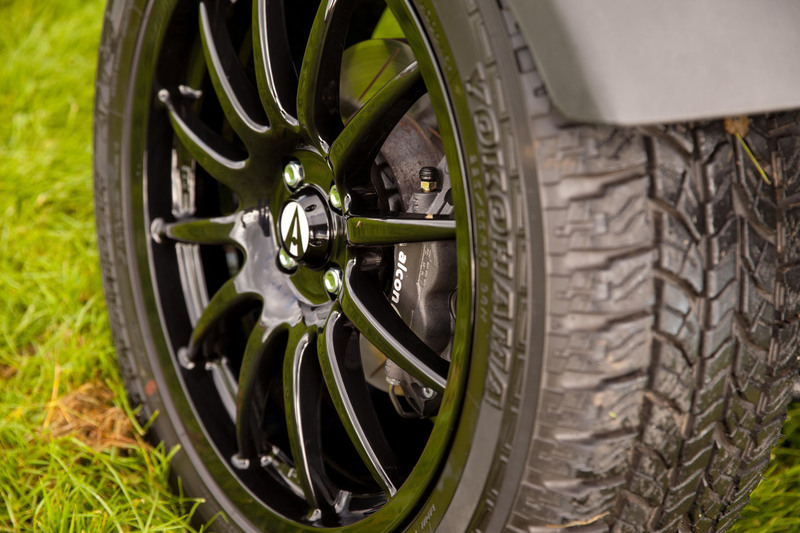 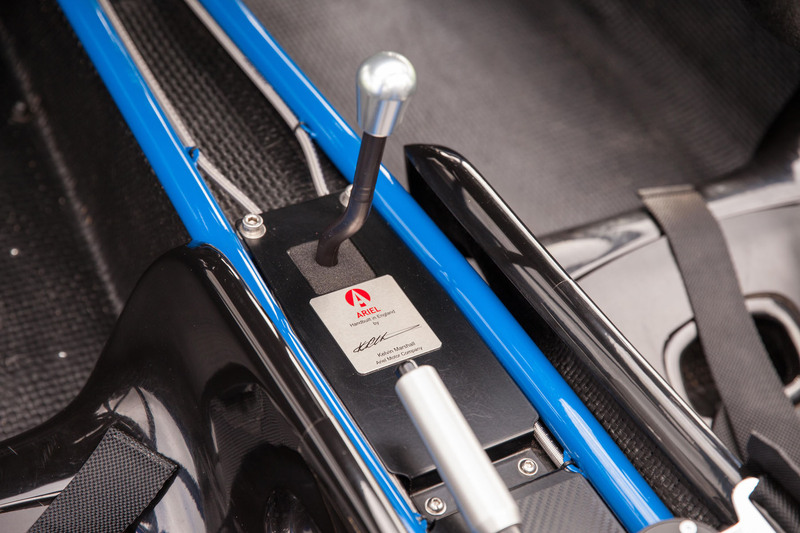 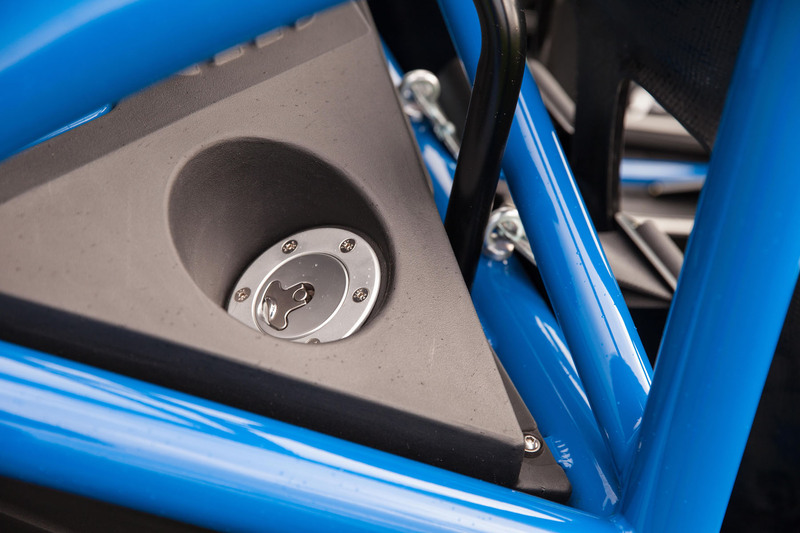 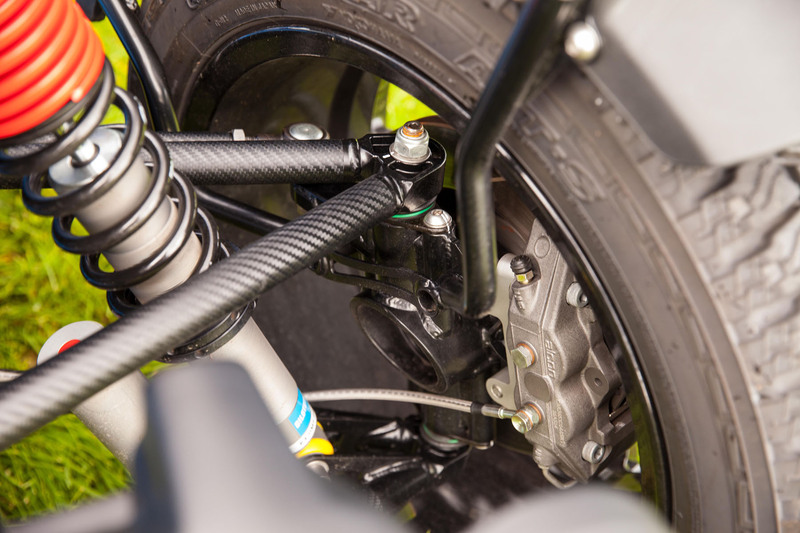 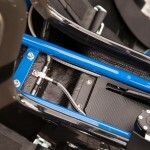 Under the car is a plethora of alloy guarding to protect the composite flooring as well as the tubed frame of the car. 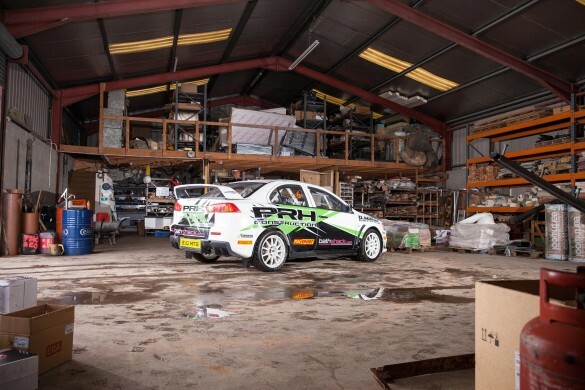 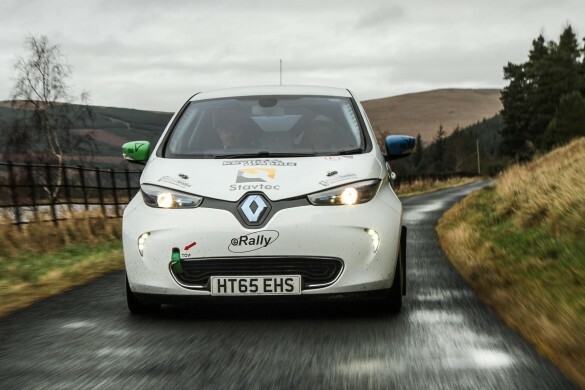 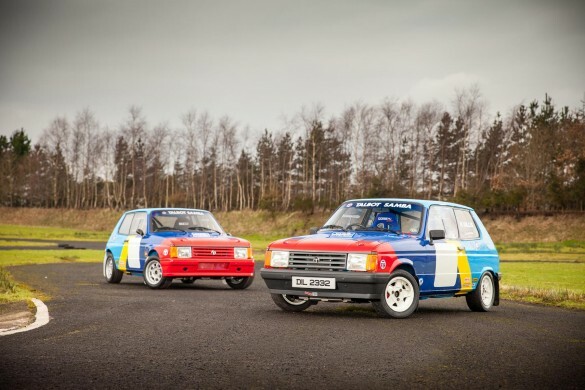 Very noticeable on this model which is the only one in Ireland might I add and owned by Rally School Ireland in Scotstown, County Monaghan, is the upgraded two way adjustable Bilstein suspension while less noticeable is the upgraded Alcon racing braking system all round. 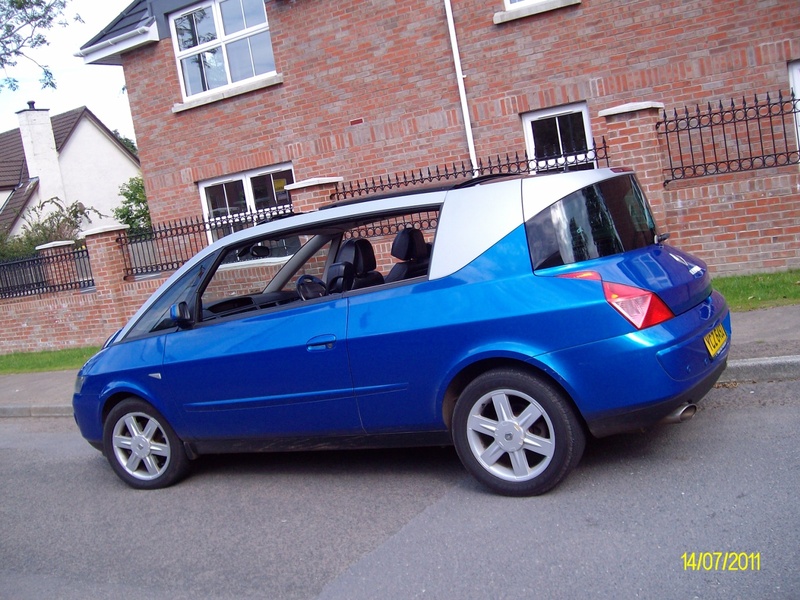 This model has the larger, more road orientated wheels fitted with All Terrain tyres and around the rear of the car, just below the top mounted spare wheel, is the fabulous engine with additional Nomad liveried exhaust heat shield and one thing I did see missing, was the road legal catalytic converter. 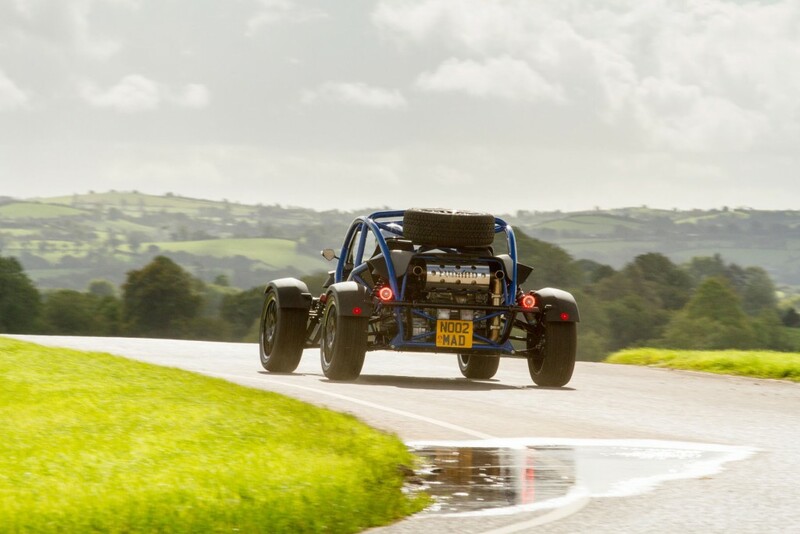 Due to the car now residing off road, in a driving school, the catalytic converter was removed to aid the flow of exhaust gasses which in turn helps the power and torque. 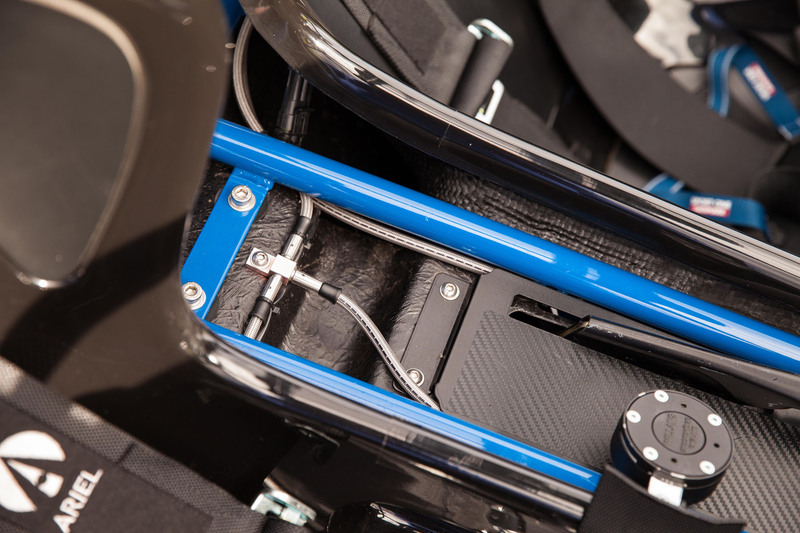 Inside the Nomad is a sparse place to be and the only way in, is to climb up the tubular frame and drop down in from above, I guess like dropping into a submarine, only less claustrophobic. 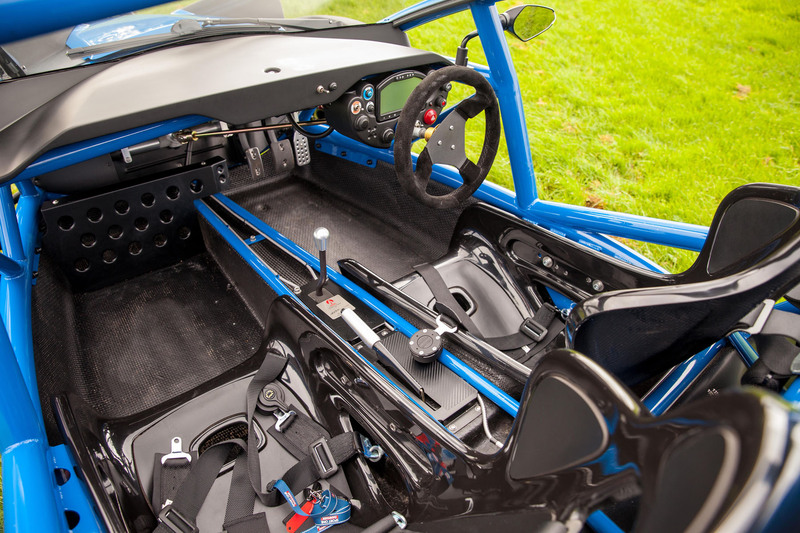 Two bucket seats more or less fill the cockpit if you could call it that and meaningful racing harnesses are fitted to be sure you don’t move too far when hammering down whatever path you may take. 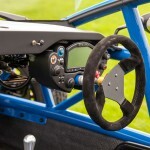 Behind the removable “snap off” steering wheel lives a digital dash surrounded by a handful of buttons without clear labels. 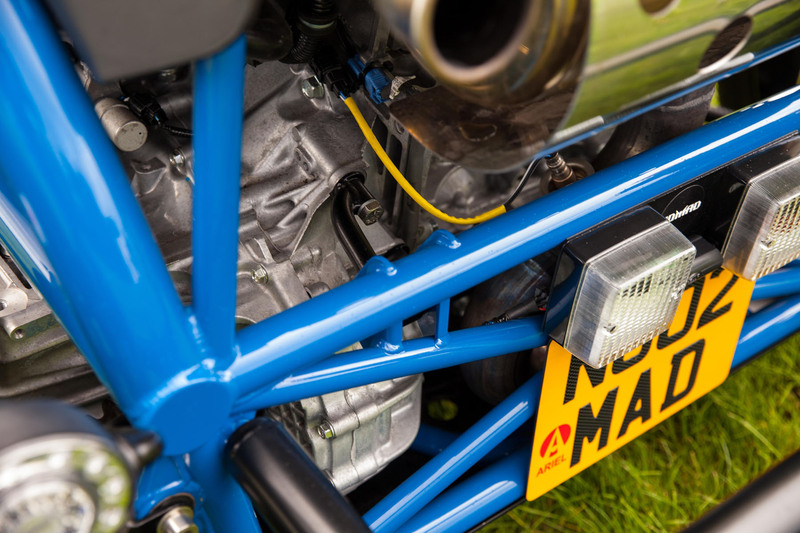 Thankfully having driven a couple of Atom’s which share the same layout, I knew which button was the important one to fire up the engine and once this was done and on looking for the gear lever to select a gear, I noticed a little metal plaque with a signature on it. 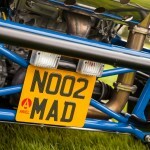 Now I am told that this signature is that of one of the gentleman who hand built this particular Nomad. 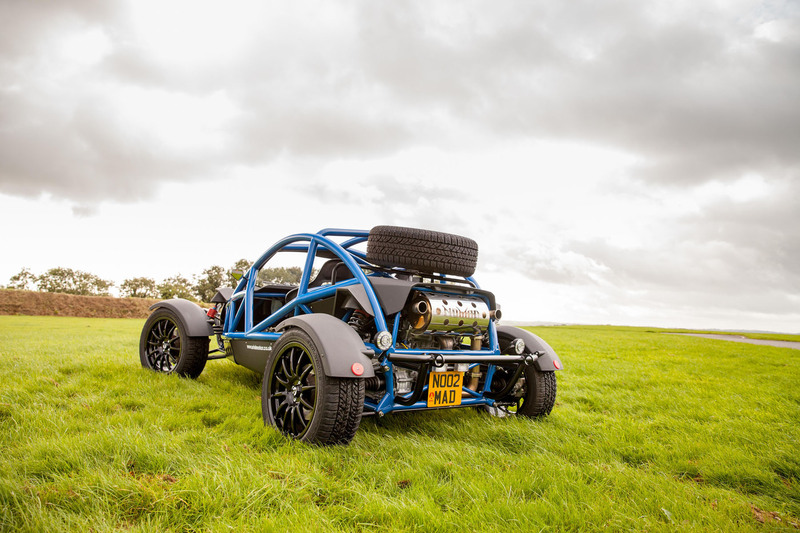 From start to finish, each and every car is assigned just one builder and this builder will be the one who spends hundreds of hours making sure the car is built to the best standard possible and in this case Kelvin Marshall was the man responsible for putting together this Nomad. 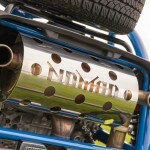 Weighing in at just shy of 700kg it wouldn’t take much of an engine to move the Nomad along at a reasonable pace, but why do that when you can turn it into a bit of a thug? 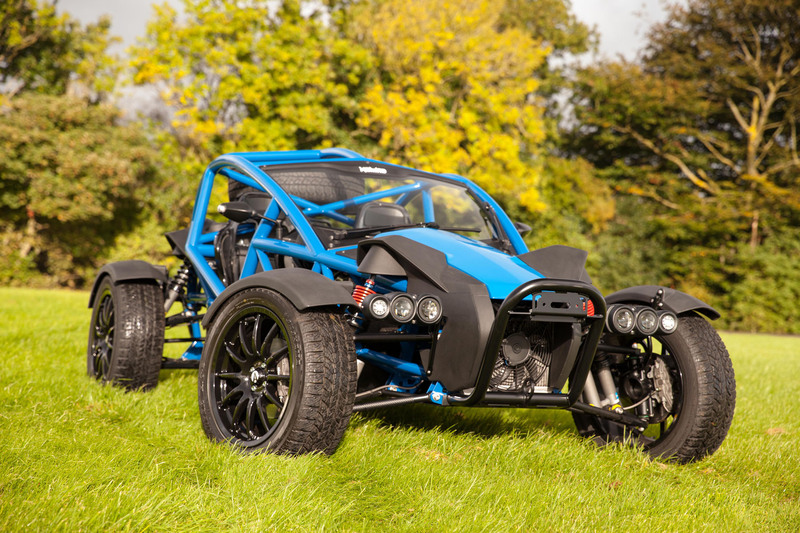 Ariel use the tried and test Honda K24 iV-Tec – 2400cc engine in the Nomad which produces a healthy 235bhp with 220lb/ft of torque. 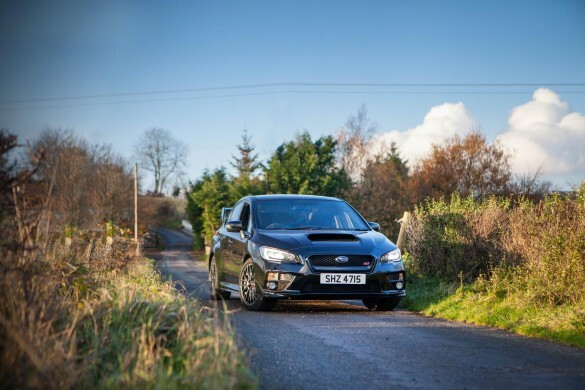 Mated to a six speed manual gearbox I must say this engine provides a surprising amount of low down grunt and once going, will scream just like any Honda V-Tec engine should. 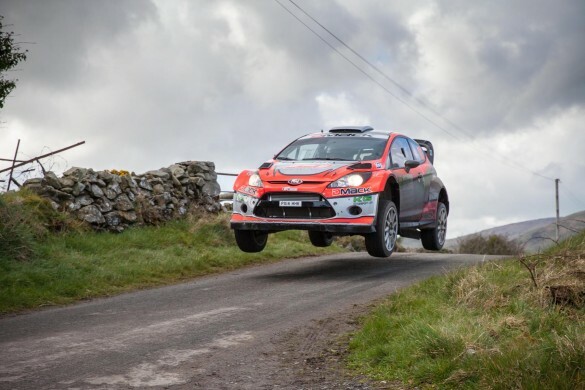 Having only recently added this car to the fleet of driving experience cars, I was among the first half dozen people to drive it on track and indeed WRC ace Kris Meeke was one of the very first to experience the car just a few weeks before our media preview day. 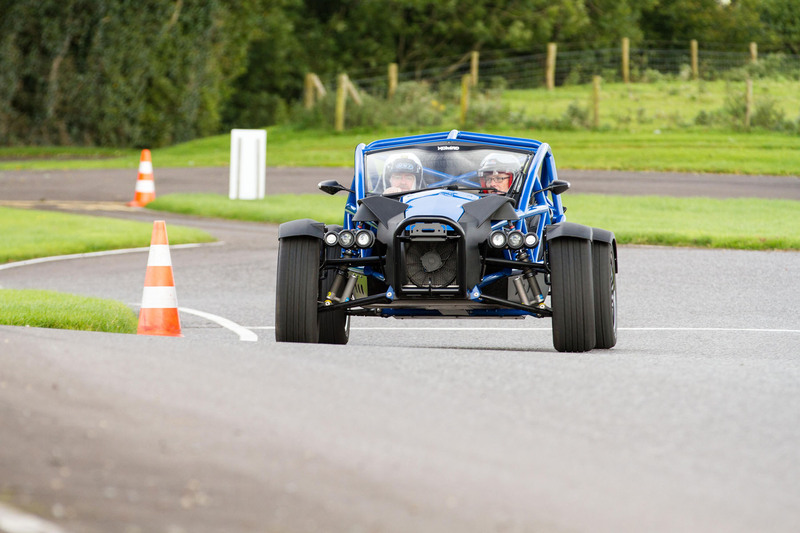 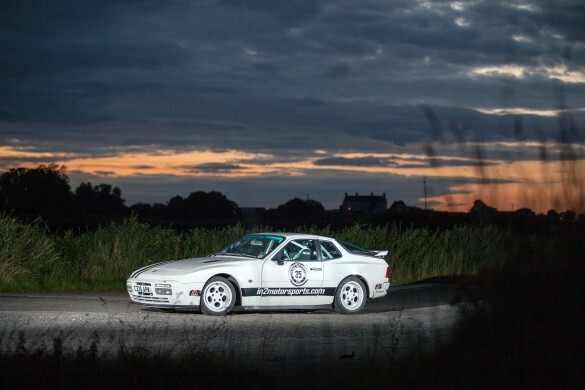 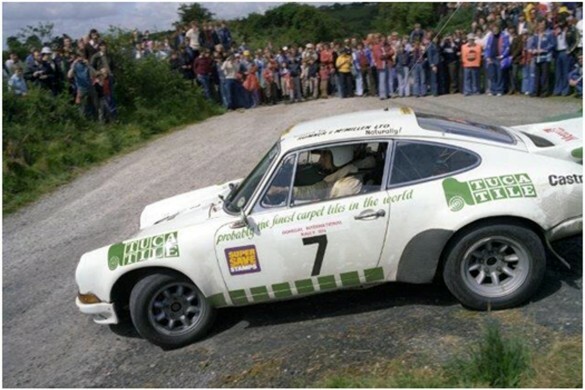 This track test, was indeed as it sounds, fully on the purpose built track in Co. Monaghan and this car will never be off road, however to experience it on tarmac was a fantastic experience and I learnt a lot from driving the Nomad. 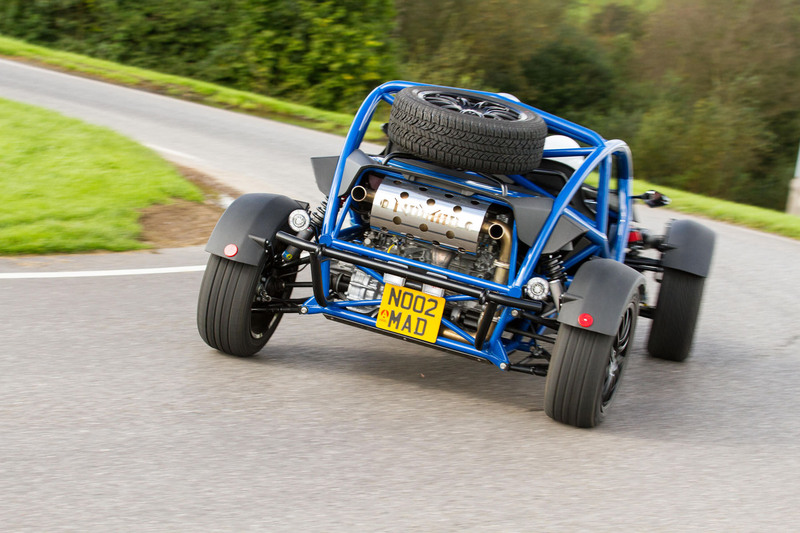 The Nomad is incredibly involving to drive, it demands huge amounts of manual input from the driver and indeed after close to twenty minutes in the car, I was starting to feel a little drained if truth be told with the involvement. 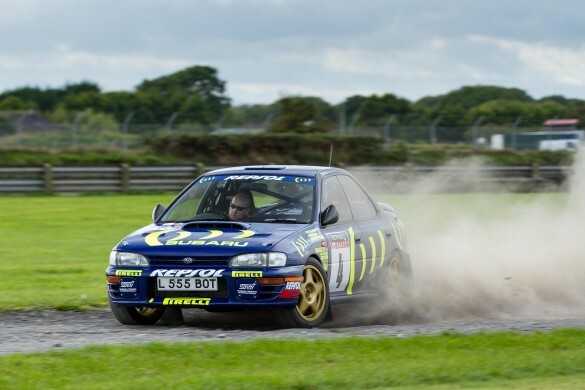 Drained I may have been, but with a smile that still hasn’t fully dispersed from my face, owner of Rally School Ireland, David Smyth is a fan of smiles and indeed from the passenger seat encouraged me to explore the limits of the Nomad from the moment we set off on track. 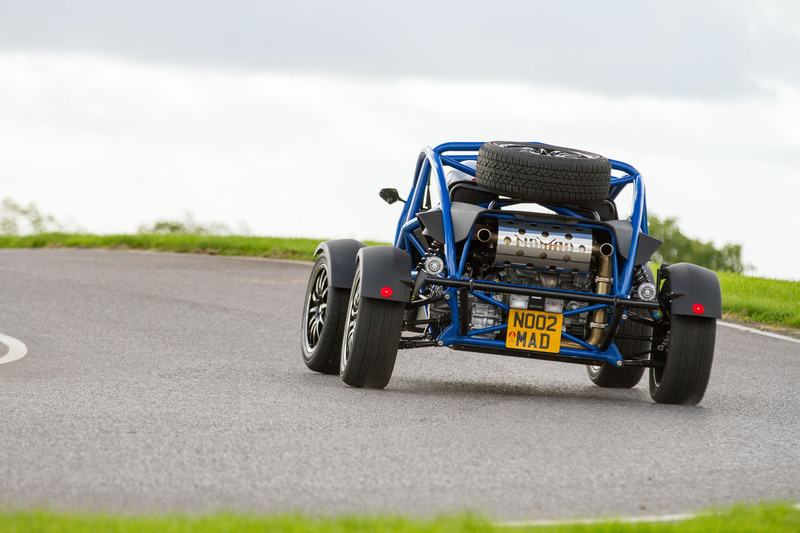 Pushing hard down the straights, braking and down gearing into the bends, the Nomad leans in and starts to slide due to the tyre/suspension combination. 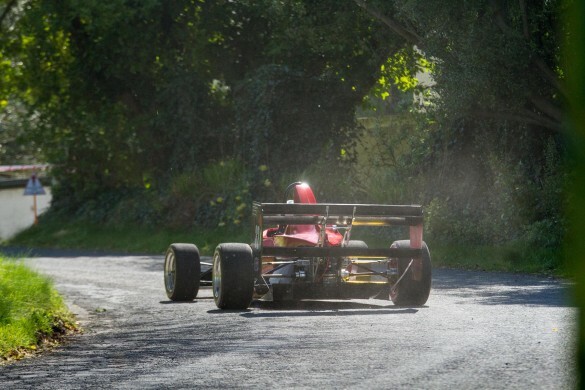 This slide soon rolls you into the bend and all of a sudden massive grip is on hand, the corner perfected and the exit in sight, a gentle squeeze of the throttle will get you up the next straight with little drama. 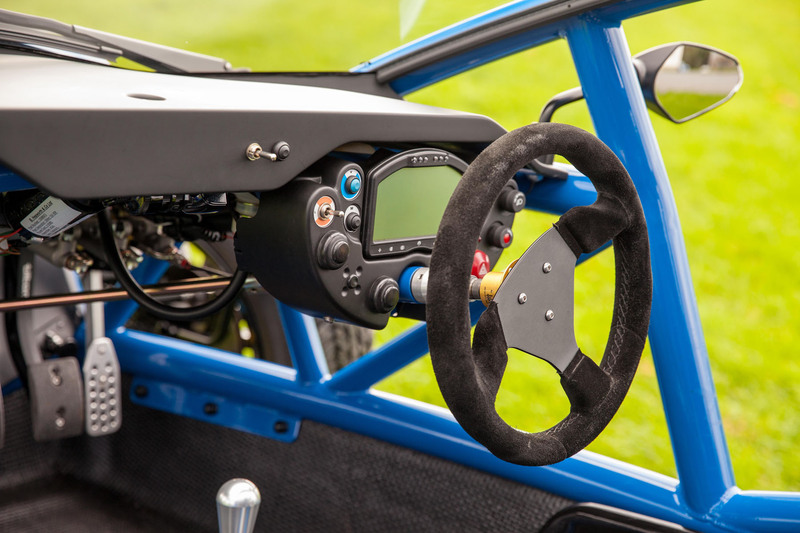 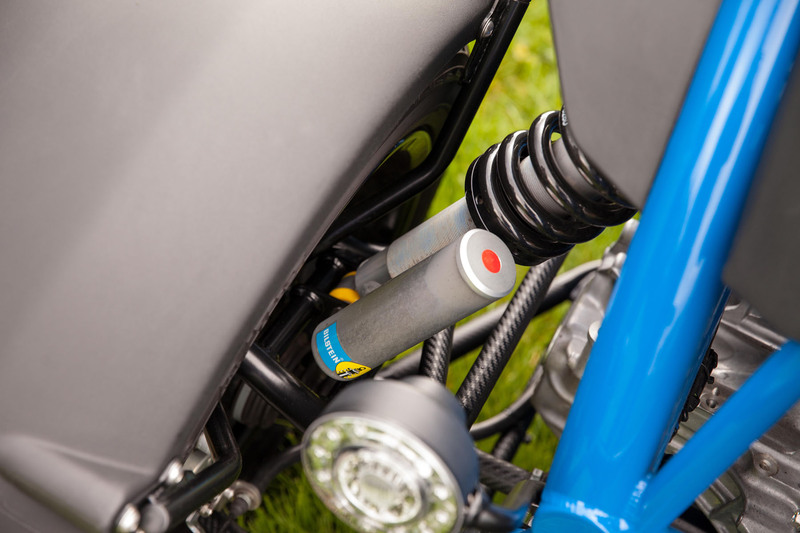 However, the throttle is very sensitive and as such a little extra weight on the throttle soon turns into very controllable over-steer between corners, though when the throttle gets more than a little extra weight, the Nomad will snap away and leave you in a spin. 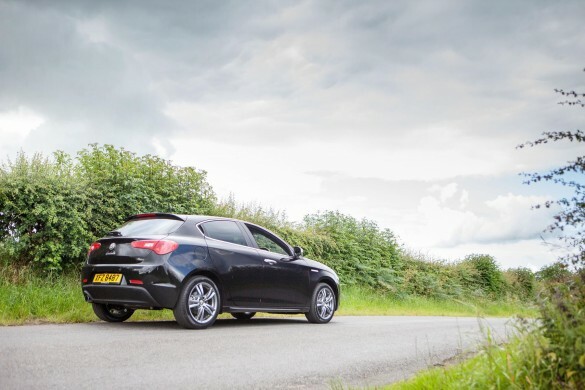 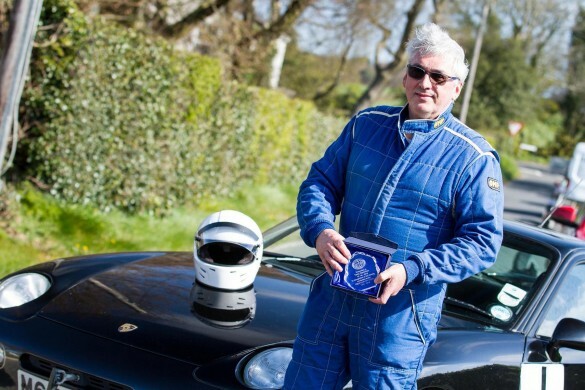 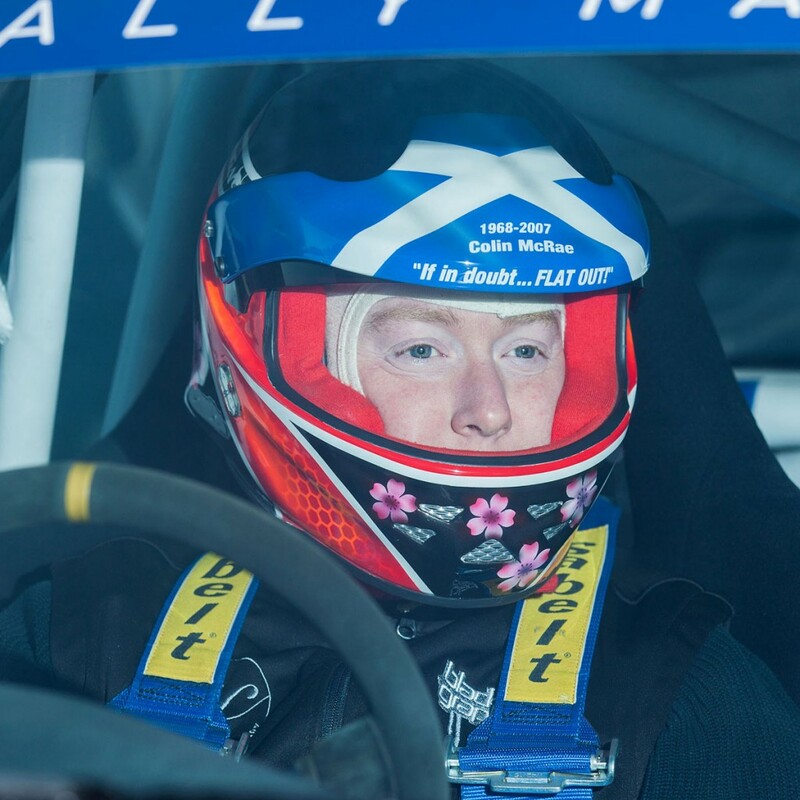 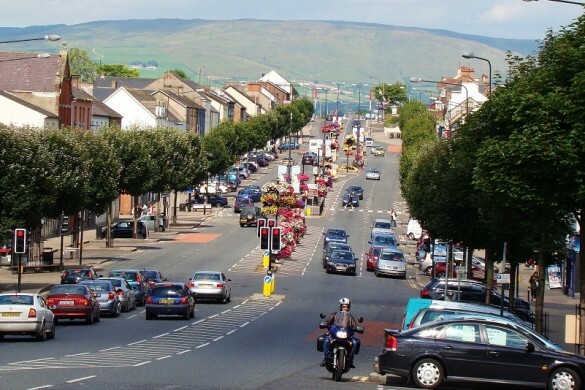 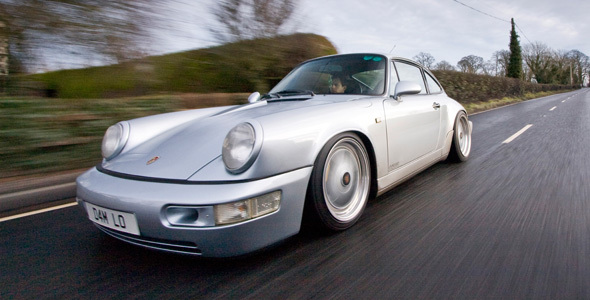 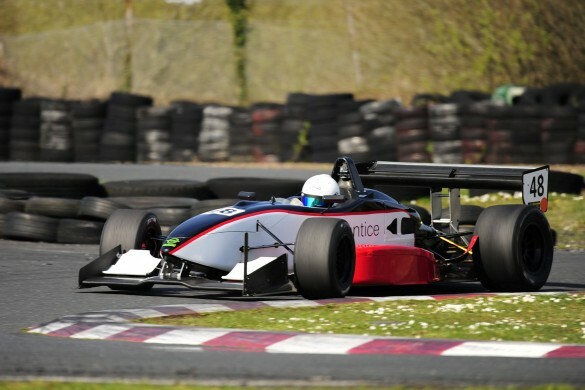 Like all driving, you get from A to B quicker by being smooth with the controls and I must admit, with David’s instruction; my braking, steering and accelerating smoothed tremendously during the time in the car and my lap times and smiles improved no end due to this.